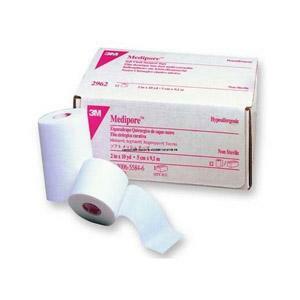 MEDIPORE SOFT CLOTH SURGICAL TAPE. EASY-TO-TEAR PERFORATED ROLLS. NO PAPER LINING TO REMOVE. EASY TO HANDLE; LESS WASTE FROM MISAPPLICATION.